In the annals of pop R&B, Earth, Wind & Fire’s place was assured as a multi-platinum, multi-Grammy-winning supergroup. The band’s hits ranked as some of the most joyous moments of the 1970s. Earth, Wind & Fire featured the vocal acrobatics of Philip Bailey, who was born and raised in Denver and had graduated from East High School. With schoolmates Larry Dunn (on keyboard) and Andrew Woolfolk (on sax), he played with a local group, Friends & Love. “Denver wasn’t a heavy black urban area, so we did all kinds of music—Blood, Sweat & Tears, Three Dog Night, Sly & the Family Stone, Carole King,” Bailey said. Earth, Wind & Fire had originally recorded as a brassy, jazz-like assemblage. But founder Maurice White reworked the concept, and Bailey recommended Dunn and then Woolfolk, who had been busy in New York studying sax with jazz maestro Joe Henderson and was on the verge of taking up a career in banking when Bailey called. The group began presenting exuberant dance music that had life-affirming, often metaphysical lyrics wrapped around exciting rhythms. Bailey’s distinctive falsetto, pure and sweet, became as legendary as Barry White’s basso. 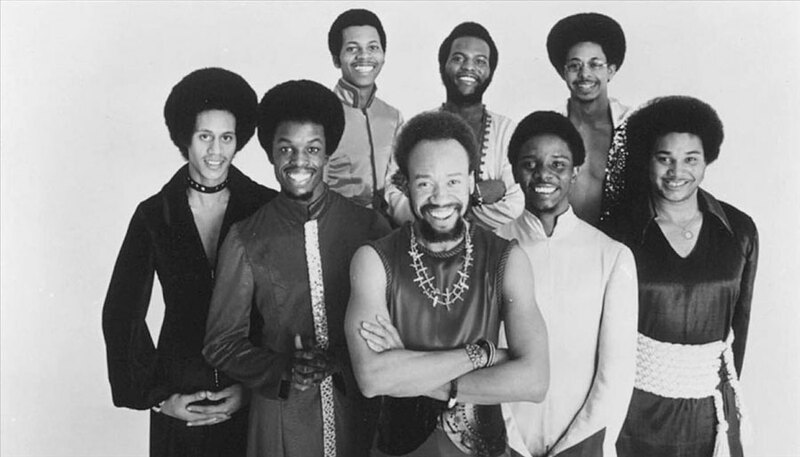 Earth, Wind & Fire had six Top 10 singles, including the Beatles’ “Got To Get You into My Life” (#9 in September 1978), which the band performed in the ill-fated Sgt. Pepper’s Lonely Hearts Club Band movie. “We recorded the That’s the Way of the World album and more at Caribou, but ‘Got To Get You into My Life’ was recorded at Northstar Studios, a little studio in Boulder,” Bailey said. “We were on a deadline—we were writing the arrangement while we were on the road, and we rehearsed it in another city on the way to Denver, then had a concert the next night. Then we went to Boulder and did the track. We brought out George Massenberg, who was an innovator of engineering. He brought his outboard gear and hot-rodded the soundboard. Bailey had his own solo career—in 1982, he hit #2 with “Easy Lover,” a duet with Phil Collins. And he had a dual identity as a singer—he also recorded Christian music. Earth, Wind & Fire added fresh chapters in the 1980s and 1990s, and the long-lived band was inducted into the Rock and Roll Hall of Fame in 2000.